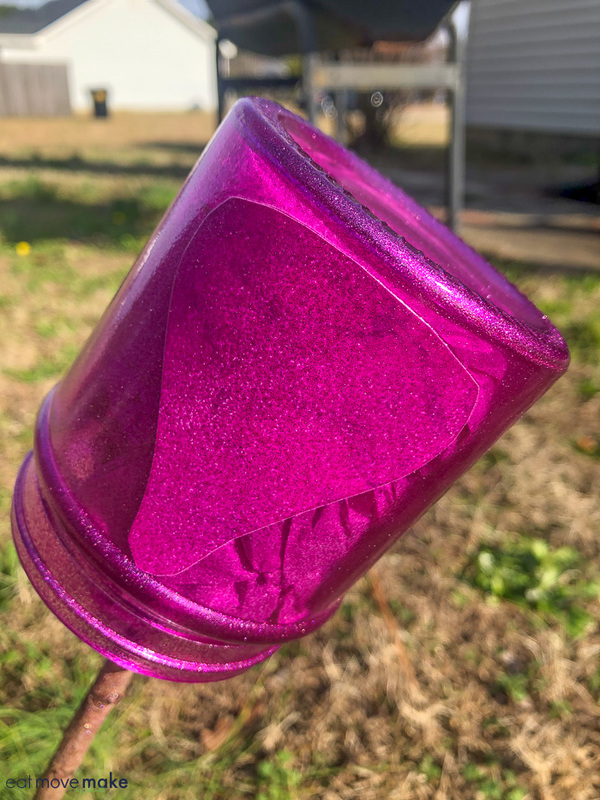 I love making creative Valentine’s Day gifts, and I do it every year! I also love, love, love gifting chocolate, and I think we can all agree that it wouldn’t be Valentine’s Day if chocolate weren’t involved, right? I’m always looking to see what’s new when Valentine’s Day candy starts arriving in stores. 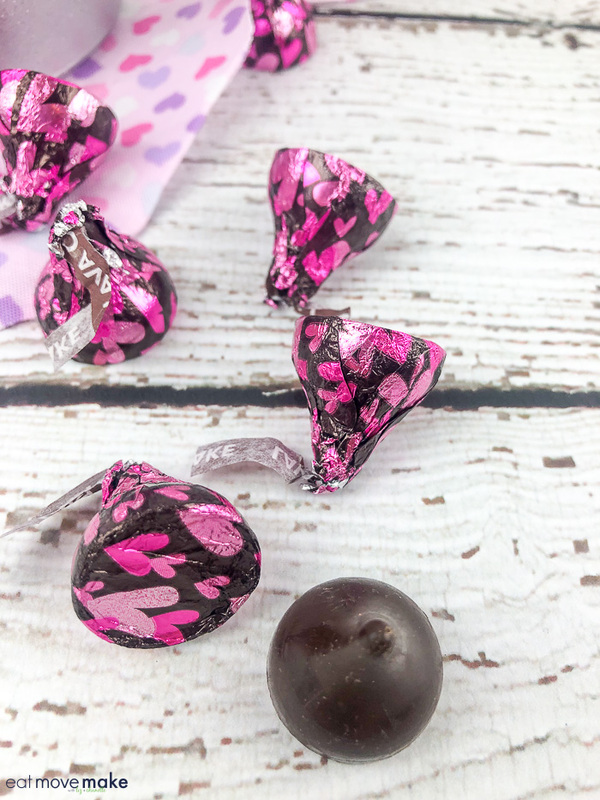 Walmart, a one-stop-shop for all things Valentine’s Day, was setting up their Valentine’s Day candy aisle and I spotted NEW HERSHEY® Lava Cake KISSES chocolates . 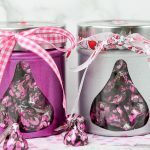 When I saw the gorgeous foil wrappers, I was inspired to make Valentine’s Day candy jars that sparkled just like the wrappers do. 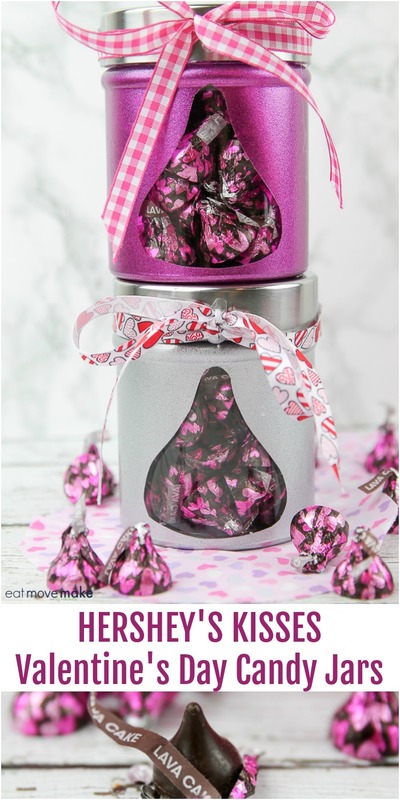 And that’s how I came up with these Valentine’s Day candy jars for HERSHEY® KISSES chocolates! Why HERSHEY® Lava Cake KISSES Chocolates? That’s easy. The rich, creamy dark chocolate morsels have gooey, gushing chocolate centers just like lava cakes. And that my friends, is simply irresistible. 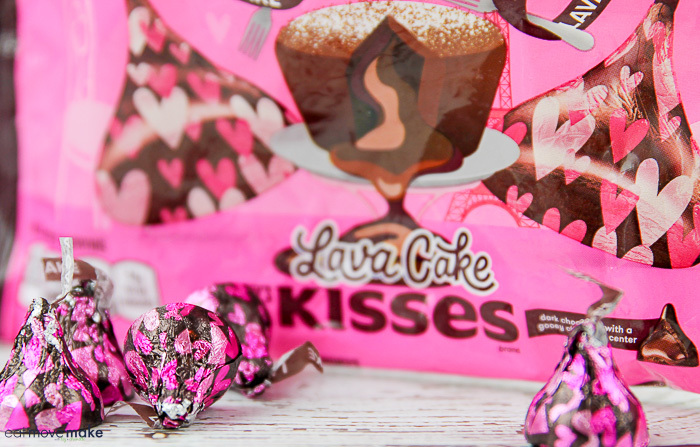 NEW HERSHEY® Lava Cake KISSES chocolates come festooned with metallic pink hearts and the “lava cake” plume hints at the surprises inside. They’re the perfect way to show someone you care about them… they scream of affection, and that iconic and oh-so-poppable shape is forever the best! But fair warning, they’re indescribably delicious, so make sure you get an extra bag for yourself! 1. Wash and dry the glass jars. 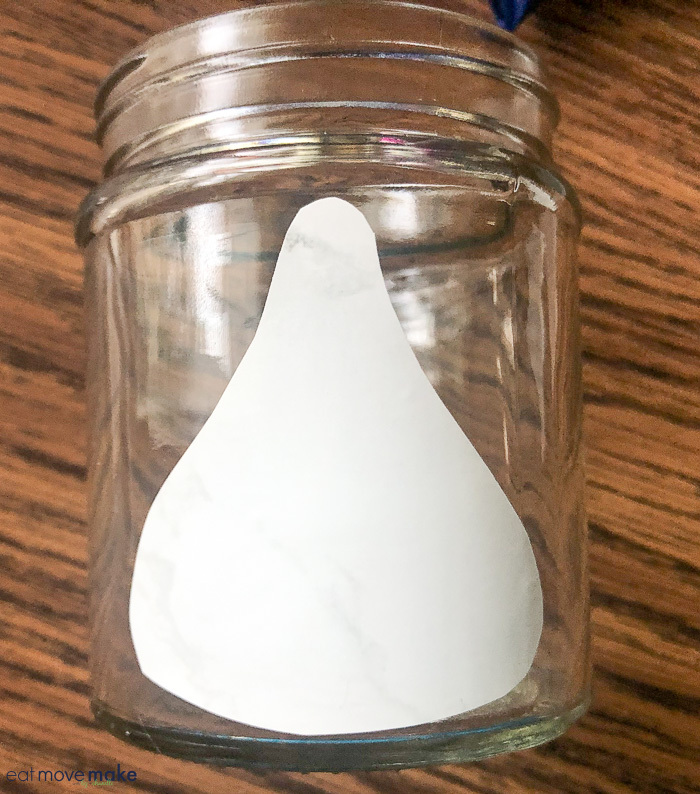 Wipe outside of jar with rubbing alcohol to remove any remaining residue that could prevent paint from adhering to the glass surface. 2. Use KISSES-shaped template (or draw freehand) on the reverse side of contact paper and cut out. 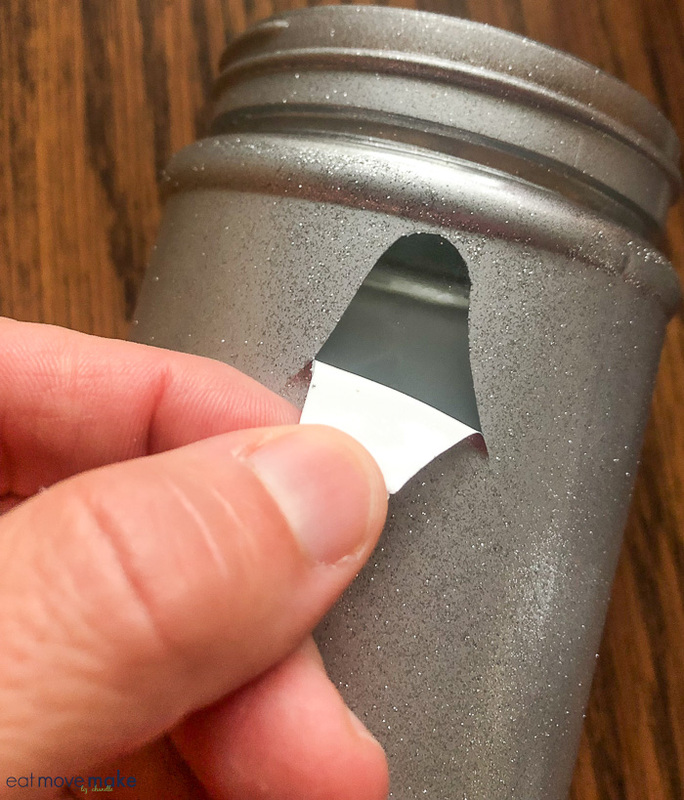 Peel off backing and apply to center front of jar. 3. 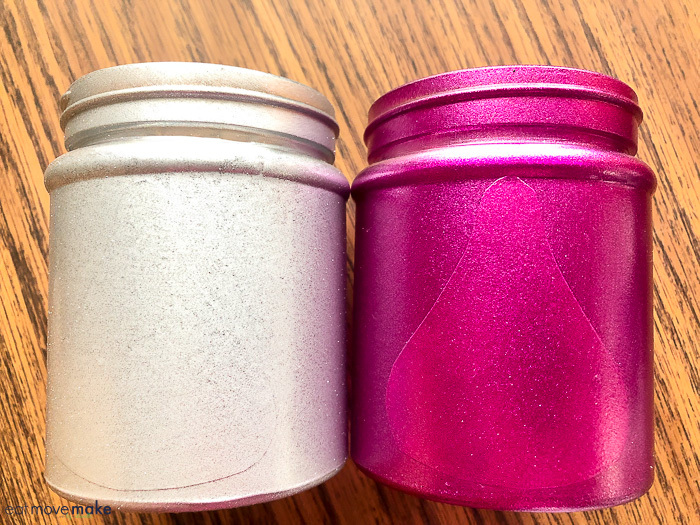 Spray the entire outside surface over the contact paper and bottom of jar with a thin coat of paint. Let dry. Repeat until desired coverage is reached. Spray with a sealer and let dry completely. Hint: Turn the jars upside down while painting to avoid getting paint inside where the candy will be. 4. Carefully remove contact paper to reveal HERSHEY® KISSES shape. Gently tap along edges of paint outline to stop them from pulling up. 5. 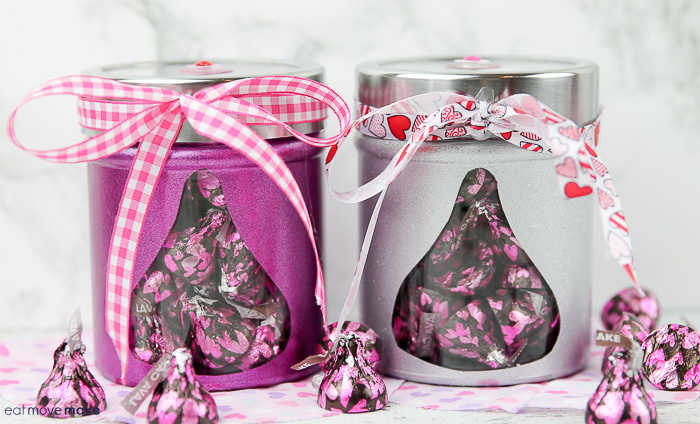 Fill the Valentine’s Day candy jars with NEW HERSHEY® Lava Cake KISSES chocolates. 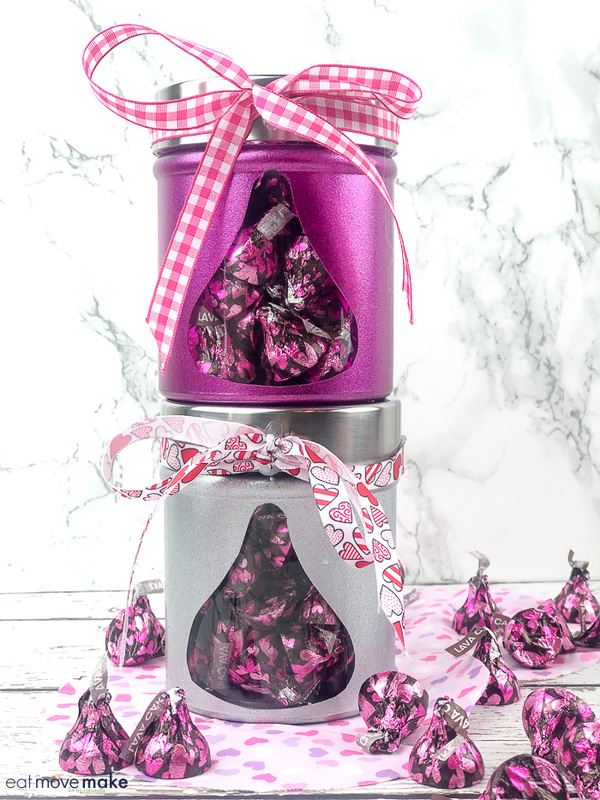 HERSHEY® KISSES chocolates symbolize caring and affection, so I gift them throughout the year. 6. Put the jar lids back on and tie a ribbon around the rim, hot gluing in place if needed. Add Valentine’s stickers on top, if desired. 7. 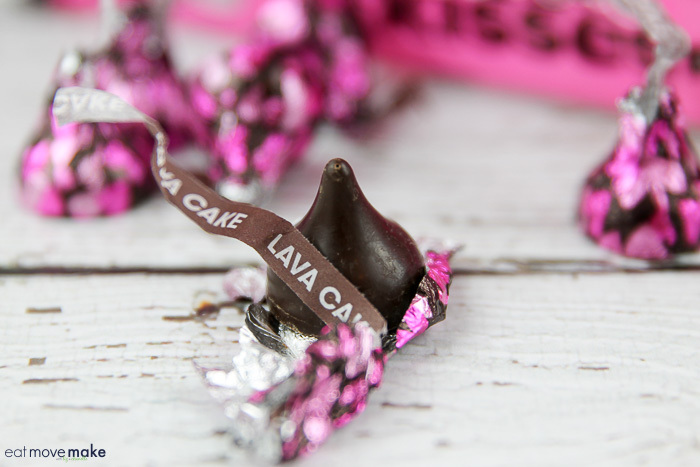 Give your Valentine’s Day candy jars full of HERSHEY® Lava Cake KISSES chocolates to the people you “lava” most! 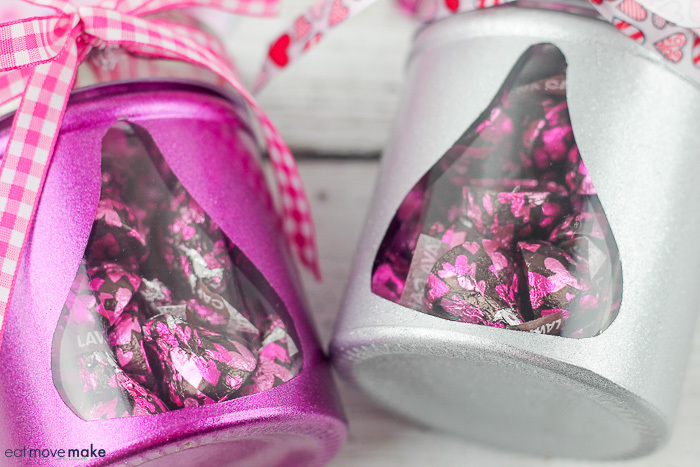 Pin the DIY Valentine’s Day candy jars!